With the highest mountains in the world, Nepal is a diverse country that rises from dense jungle to snow-clad peaks in just over 100 miles. Its capital and largest city, Kathmandu, is a bustling metropolis with deep ties to history, culture and ancient religion. Its religions - Hinduism and Buddhism - melt together and lure Western travelers. 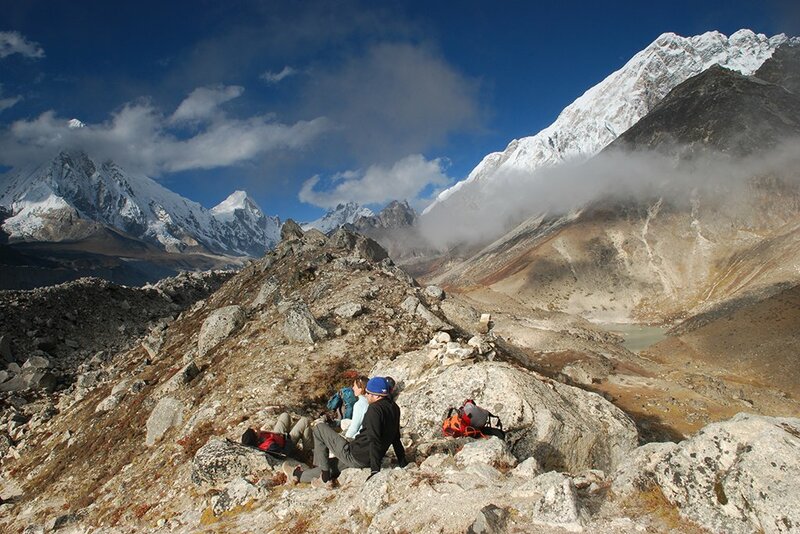 With unparalleled terrain and adventure, Nepal never fails to deliver an unforgettable experience. While there are too many great things to do in Nepal to list, we've narrowed down seven activities that Nepal is best known for, and some that are newly emerging. Trekking is a way of life in this vertical land. While you are lumbering in your state-of-the-art hiking boots, villagers and Sherpas will waltz by in flip flops, with kids running on their way to school. Porters haul large loads in dokos (baskets) strapped to their foreheads with a namglo (rope belt). Take note: When the guide tells you today’s path is Nepali flat, he usually still means lots of ups and downs, just not as steep as usual. But it’s often worth the climb: the trails open up into panoramic vistas, fluttering Buddhist flags, and beautiful local villages scattered across the countryside. Nepal has two main trekking regions - Annapurna and Everest - and a number of other popular treks that are just as beautiful but receive significantly less traffic, such as the Manaslu Circuit and Upper Mustang. Most treks in the Annapurna region begin out of Pokhara, a 25-minute flight or 7-hour drive from Kathmandu. For the Everest region, you can either walk in from Salleri or Jiri, or skip the first four days by flying directly into Lukla, a spectacular mountain airport. For the more adventurous, venture further afield to the more remote areas of Nepal, such as the Dolpo, Makalu, and Kanchenjunga regions, where you can disappear on a month-long trek amid yak caravans and remote valleys that have seen few western tourists. Nepal is also a climber’s paradise. There are numerous 6-7000m climbing peaks available for climbing enthusiasts, as well as eight of the world’s fourteen 8000m+ peaks for the ultimate challenge. At dawn or on a full moon, Pashupatinath is intensely spiritual. This extensive collection of Hindu temples is located at the top of a wide set of steps that lead down to the sacred Bagmati River. This UNESCO World Heritage Site draws hundreds of thousands of devout Hindu pilgrims, the red tikka marks on their foreheads a symbol of their piety. Situated near the edge of the valley is Swayambhunath, commonly referred to as Monkey Temple. After climbing the steep staircase, lined with small Buddhist shrines, you’ll reach a smaller stupa that’s just as impressive as Boudha, yet more intimate and mixed with an air of Hinduism, as well. This is the stupa you can see looking out over the valley from most parts of Kathmandu. Read more in our Ultimate Guide to Kathmandu's Cultural Highlights. Outside of Kathmandu, Lumbini is one of Nepal’s best-known pilgrimage sites, being the birthplace of Lord Buddha. Not far from the Indian Border, many people come here for an overnight on their way to India or Chitwan, and to pay their respects to this famous birthplace. Alternatively, the more expensive option is to take a helicopter from Kathmandu or Lukla, where you can fly lower in the valley and get up close and personal to the majestic peaks. If you’re heading in by foot, the most famous view of Mt. Everest is from Kala Patthar, where you can see spectacular, close-up views of Everest, Nuptse, Pumori, and the Khumbu icefall and glacier below. For a those seeking adventure with a taste for luxury, stay overnight in one of Yeti Mountain Home's luxury lodges throughout the Solu Khumbu, often perched at a great vantage point over the valley. 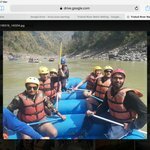 A great option for adventure lovers is to go on an overnight river rafting trip, with an outfit like GRG Adventure Kayaking. Start from a popular beach along the Madi River near Pokhara. Birds—kingfishers, eagles and kites—are everywhere (so are monkeys). Class III rapids offer a thrill, along with soaked clothes. At nightfall, a remote beach serves as the campsite. The sound of the water is so relaxing, sleep comes easily. The next day it is back to the rapids until the pullout. Few people know that Nepal is also a world-class paragliding destination. Head to Pokhara, situated on Phewa Lake with Machhapuchhre as its backdrop, to catch the steady thermals up over the lake with amazing views of the entire Annapurna range. Rest assured, you’ll be safely attached to your pilot. Finally, if you’re looking for that last bit of adrenaline, there are some great bungee-jumps to be had given the steep terrain in Nepal. To quote the Last Resort, “Imagine a bridge over a 160-meter high tropical gorge, with one of Nepal’s wildest rivers raging below… Now jump! Chitwan National Park, located in the sub-tropical Terai lowlands of south-central Nepal, teems with 45 species of animals. You’ll see monkeys, rhinos, antelopes, crocodiles, boars and abundant bird life. There are a number of local resorts from which to enjoy the jungle and relax after days of hard trekking in the mountains. Besides Chitwan, Bardiya National Park in the southwest of Nepal is the largest national park in the Terai lowlands and another great place to spot tigers, rhinos, and wild elephants. Bardiya is less developed than Chitwan, making it a great option if you prefer to avoid the crowds. Still, you’ll find some luxury at the Tiger Tops resort, as well as a number of activities and tours to take you into the park. Reach new heights by not leaving the ground on one of Nepal’s great mountain biking excursions. Due to the steep climbs and precipitous descents, some routes are best left to the most experienced while others are great for all skill levels. Biking is gaining popularity as a great way to see Nepal’s spectacular scenery. For an idea of what kinds of bike trips are available, check out Unique Trails. Nepal’s also a great trail running destination, with a growing number of internationally-recognized races and a local superstar in Mira Rai. The best thing about trail running in Nepal is that you have established trails around the famous mountains, breathtaking views to distract your from the fatigue, and local accommodation and food awaiting you each night in the teahouses. It’s hard not to think of Nepal as one of the best trail running destinations in the world. If you’re looking for peace of mind, look no further. Nepal has a variety of centers and monasteries where you can retreat from the craziness of Kathmandu and find calm in a local monastery or retreat. For example, check out one of the retreats held by Pranayama Yoga. You can also get away on a yoga trek, which combines the best of both worlds - world-class trekking and daily yoga classes, led by your very own yoga instructor. Both Kathmandu and Pokhara have multiple yoga studios, as well, if you’re just interested in day classes.